Cologne draws visitors with its Romanesque churches, medieval history and brewhouses - it also offers contemporary art and good coffee, of course. Not to forget my favorite part the Belgian quarter, brimming with boutiques, cafés and galleries. We started our trip to Cologne at The QVEST hideaway, tucked away on a quiet square in the centre. From here the Belgian quarter is just a short walk. 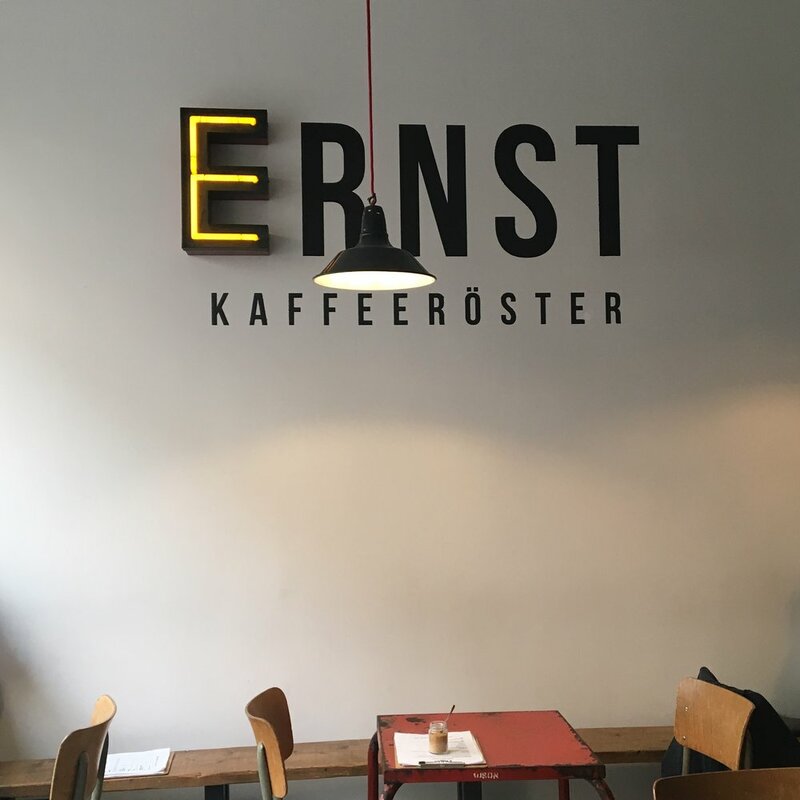 ERNST Kaffeeröster: The German word "ernst" translates to "serious". Rest assured that they take their coffee serious. With a 5kg coffee roaster only small portions of coffee are roasted to release the natural coffee aromas of hazelnut, citrus etc. The rustic interior is inviting and their pastries amaze. Schamong Kaffee: Not only Cologne's oldest coffee roastery (since 1949), also a family-run business in its third-generation. LU Vietnamese Cuisine: A no-frills Vietnamese restaurant with a small menu and daily menu on a chalk-board: Rice noodle soups and Chicken coconut / Tofu curry. A very laid-back atmosphere with long tables, this place is constantly busy. MAKK: Cologne's design museum highlight is the sound-level "Design" exhibition. A timeline of events supports the ever-changing design in furniture and everyday items. Remember the 1998 iMac G3 available in five colors? Siebter Himmel: This book and design store is a perfect place to find a thoughtful gift. I really love their idea of a "blind-date" with a book: a book in brown wrapping paper and gift tag attached to tease you with an idea of what to expect, sort of a sneak-preview for the cinema, just with books. The QVEST: A hideaway with 34 individually furnished rooms, magazines, books, photography. Before entering, absorb the surrounding Monastery-calm area around the Basilica, then enter the spectacular neo-Gothic listed building. The QVEST magazine's Editor-in-Chief, a self-proclaimed design collector, not only selected classic design furniture (Eames, Jacobsen, Mies van der Rohe), you will also find a copy of QVEST magazine in every room, and a collection of books in the library. Surely enough time to enjoy a good read.